Ellen Baker is beloved for crafting intimate domestic stories that resonate deeply with readers. 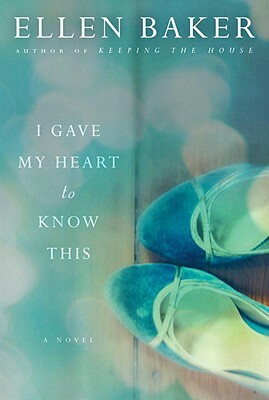 In I Gave My Heart to Know This, the award-winning author returns with a sweeping multigenerational saga of the searing power of war, memory, friendship, and family. In January 1944, Grace Anderson, Lena Maki, and Lena's mother, Violet, have joined the growing ranks of women working for the war effort. Though they find satisfaction in their jobs at a Wisconsin shipyard, it isn t enough to distract them from the anxieties of wartime, or their fears for the men they love: Lena's twin brother, Derrick, and Grace's high school sweetheart, Alex. When shattering news arrives from the front, the lives of the three women are pitched into turmoil. As one is pushed to the brink of madness, the others are forced into choices they couldn t have imagined and their lives will never be the same. More than five decades later, Violet's great-granddaughter, Julia, returns to the small farmhouse where Violet and Lena once lived. Listless from her own recent tragedy, Julia begins to uncover the dark secrets that shattered her family, eventually learning that redemption and love can be found in the most unexpected places. Beautifully written and profoundly moving, I Gave My Heart to Know This is a riveting story of loyalties held and sacred bonds broken; crushing loss and enduring dreams; and what it takes and what it means to find the way home. Ellen Baker is author of Keeping the House, which won the 2008 Great Lakes Book Award. She has worked as a bookseller and event coordinator at an independent bookstore. She lives in Minnesota.